I study English, because I want to read English books of great writers in origin. I want to communicate with people from different countries, I want to understand their culture and traditions. I like to travel. Speaking English I can travel anywhere, because more than 1 billion people speak English. I have a pen-friend abroad. She lives in Sweden. I have much fun writing letters to my Swedish friend. How do I learn English? First of all I read a lot. There is always an English book on my desk. I’m trying to learn few new words every day. To remember words better I put them into groups. For example: believe — believer — belief — disbelieve. I listen to songs in English and try to recognize the words. I have some tapes and video-tapes in English. I like to watch different satellite TV programs in English. 1. Why is it necessary to speak English? 2. 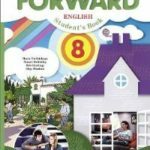 Is it difficult for you to learn English? 3. Is English popular now? 4. How do you learn English? 5. Do you like studying English? Общее число языков в мире — от 2500 до 5000. На английском говорят во всем мире, и он очень популярен. Есть такая пословица: «Знание — сила». Я с ней согласна. Я изучаю английский, потому что я хочу читать произведения великих английских писателей в оригинале. Я хочу общаться с людьми из разных стран, я хочу понимать их культуру и традиции. Мне нравится путешествовать. Я слушаю песни на английском и пытаюсь узнавать слова. У меня есть несколько аудио и видеокассет на английском языке. Мне нравится смотреть различные передачи на английском по спутниковому телевидению. Language is the means of communication. The most common way of expressing an idea for people is to say it out loud. Language enables people to understand each other. At the same moment language can be a major barrier to understanding because there are thousands of different languages on our planet. From the earliest time, with the development of trade and exchange of ideas and techniques people saw the necessity of learning foreign languages. Egyptian pharaohs had scribes and interpreters at their disposal. A language that is used as a means of communication by people of different nations is called international. International language helps people of different nations to understand each other. Different epochs had different international languages. As a rule the existence of the language as an international one is determined by political, cultural and economic development of the country which language is spoken as international. International language is not the phenomenon of our age only. The first international language appeared on the Earth with the birth of civilisation. The Biblical myth about the mixture of languages during the construction of the Babylon Tower, when the people lost their universal language and thus could not communicate, was a reflection of how dearly the people of ancient periods held the gift of speech and understanding. Ever since those times the foreign languages and people who knew them played a significant part in the development of international relations and trade of different countries. The first international language that we know about was the language of the Phoenicians. The Phoenicians were a nation of industrious merchants and brave seafarers who settled originally on the territory of the Lebanon. Their trading ships travelled across the Mediterranean, they often appeared in Egypt, Italy, and Greece, they voyaged across the Indian and Atlantic oceans. They were the first to round the Cape of Good Hope, the southernmost point of Africa. The Phoenicians were the first to create the alphabet, that later was borrowed by the Greeks. It is not surprising in this context that Phoenician was the international language for many centuries. The Greek language replaced Phoenician as a means of international communication. After the military expeditions of Alexander of Macedonia the Greek language won recognition all over Asia. The Greek culture and language were imposed in all Hellenistic centres and states, including Egypt, Syria and Persia. The Romans went a little further. The Roman legionary marched to the ends of the earth carrying Latin, their language, with the help of their orators and philosophers to Europe, Asia, and Africa. From that time on the role of languages in the historical development of humanity has increased. Latin survived the collapse of the Roman Empire. Until the establishment of national states, new national languages that originated from Latin (French, Spanish, and Italian) were still emerging. In such circumstances although the native speakers of Latin were gone, it was a universal language of Mediaeval Europe for fifteen centuries. In Europe Latin was used for the serious business of government, diplomacy, and philosophy. A person who did not know Latin was unable to become educated because Latin was also the language of the Universities. In the Middle Ages students and professors travelled from one country to another, from one University to another, and nowhere they had any difficulties in understanding their colleagues and friends as all lectures were delivered in Latin. Then with the emergence of national states and development of national languages the need to learn foreign languages became especially acute. Besides classical languages modern languages were introduced in the list of school studies. Educated people of Europe were to know several modern languages. For example, Rubens, the greatest painter of the Western civilisation who lived in Flanders in the 17-th century, spoke and wrote six modern languages. It should be said that not all the languages had equal importance in different centuries in the world. Preference was given to that one which country was more powerful at that time. In the 15-th and 16-th centuries Spain was in the vanguard of European and world expansion and the Spanish language could be heard in the far reaches of our planet. French became the dominant language of the Western world in the 17-th and 19-th centuries. In the 19-th century French was the official language of our country. Since childhood Russian aristocrats were learning French. For example, Pushkin wrote his first poem in French. Russian was spoken only by common people. In the first half of the 20-th century, during the period between two World Wars, English started gradually to replace French as the international language. Moreover, in the second half of the 20-th century the United States became the world’s dominant power. The USA had enormous political, economic and cultural influence on the Western world. It is interesting to note that before English emerged from lots of dialects, French had been the language of the English court and of the educated classes for three centuries since the Norman conquest. It was Chaucer who chose English for his book «Canterbury Tales» and thereby helped decide the language in which England’s literature would be written in centuries to come. In the 16-th century Shakespeare used over 29,000 English words, many invented by himself. Germanic in origin English has words come from other sources, the result is an astonishingly wide vocabulary acquired quite early in its history. 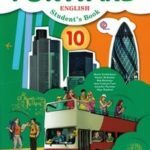 Now English is the language of unparalleled richness, subtlety and variety, which unlocks the treasures of the literature second to none in the world. The transition from French to English as the international language was relatively easy because in many countries of the world people already knew English by that time. The British Empire brought English not only in the North America, but in the Australia, Africa, and India as well. The leadership of English in the modern world can be explained by numerous factors. Over 300 million people who live in Great Britain, Australia, New Zealand and the United States of America speak English is as a native tongue. English is one of the official languages in the Irish Republic, Canada, the South African Republic. It is also the second official language used in the former British and U.S. colonies. English is one of the official languages of the United Nations Organisation and other political organisations. It is the language of literature, education, modern music, international tourism. The dominance of English in the contemporary world is explained by the appearance of lots of people who want to learn English not for pleasure or prestige but because English has become the key to international scientific, technological and commercial innovations of today. Previously the reason for learning any foreign language was not well defined. Knowledge of foreign languages was regarded as a sign of a well-rounded education, but few had really questioned why it was necessary. The problem of learning languages is very important today, Foreign languages are socially demanded especially at the present time when the progress in science and technology has led to an explosion of knowledge. The total knowledge of mankind doubles every seven years. English is needed as the main and the most efficient means of information exchange. With the acceptance of English as the international language of technology and commerce appears a new generation of people who know why they are learning the language. Scientists and scholars need it to keep up with developments in their fields. Many students need English because their course of studies includes textbooks avail able only in English. Young people around the world need English in order to be able to use the Internet, communicate with their partners in other countries, understand films and songs. Unfortunately, there is no universal or ideal method of learning languages. Everybody has his own way. Sometimes it is boring to study grammar or learn new words. But it is well known that reading books in the original, listening to the BBC news, communicating with native speakers will help a lot. When learning a foreign language one learns the culture and history of the native speakers. One must work hard to learn any foreign language. – When do children start learning foreign languages in Russia? – Much depends on the parents. Some children start to learn foreign languages very early, in kindergartens for example. 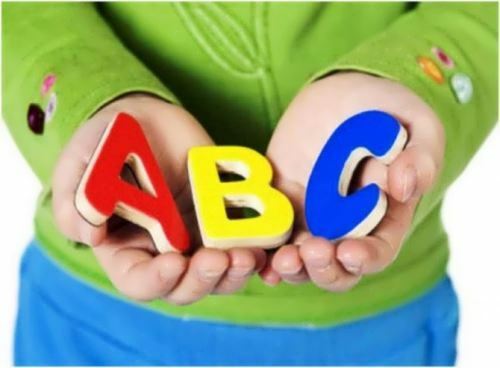 They are taught ABC English there: they sing songs, recite nursery rhymes and learn to construct some phrases. Others start learning languages at school. At some specialised schools foreign languages are taught from the second to the eleventh class. But generally pupils learn foreign languages from the fifth to the eleventh class. – Are foreign languages included in entrance exams? – Many Universities include foreign languages in entrance exams. Students who specialise in humanities, such as History, Sociology, and Philosophy need to know foreign languages for their professional career. – Why do people learn foreign languages in Russia? – Russia is integrating into the world community and the problem of learning English for the purpose of communication is especially urgent today. In Russia people learn English to be able to exchange the latest information concerning science, technology and commerce with their colleagues; to be able to read foreign newspapers and books. Learning foreign languages is especially popular among young people. For them English is a way of exploring a completely new world. A person who travels a lot also needs English. Even in the countries where English is not an official language people will generally be able to understand it. – In how many countries is English the official language? – English is the official language of some thirty states which represent different cultures. Many countries, which have more than one official language have English among other official languages. – What is a distinguishing feature of English? – English belongs to a group of Germanic languages. Thus German is relatively close to English. At the same time England had numerous contacts with France, so French had tremendous influence on English. Today a person who knows both English and French will easily find numerous similarities in these languages. Those who already know English will have less difficulties learning French. 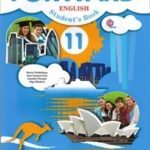 – Is English an easy language to learn? – Yes, it is. Basically English is an easier language to learn than almost any other language. Its grammar is not difficult at all. – What do you think is the most difficult about English? – The richness of the vocabulary makes English a difficult language. Moreover, spelling and pronunciation make trouble. An other thing is that Russian and English are very different. It is not easy for a Russian to learn how to use definite and indefinite articles properly because there are no articles in Russian. In this context it should be said that the Germans and the French have less difficulties with English. – Why are foreign languages important for specialists? – Specialist should know foreign languages to communicate with their colleagues at the conferences, through books and journals or the Internet. Today it is not enough for a professional to know only one foreign language. That is why many young people who begin to think about their future early start learning several languages. For Russian specialists it is good to know not only English, but German and French as well. Undoubtedly, English is number one language that specialists should learn. – What kind of foreign language do specialists have to know? – Specialists have to know that kind of English which will help them to solve their professional problems. They need English for specific purposes. It has been established that there are important differences between, say, the English of commerce and that of engineering. That is why a great deal of English courses for specific groups of learners have been developed. The discovery that language varies from one situation of use to another allowed to determine the features of the specific situations making them the basis of the learners course. Today specialist of different branches of sciences and professionals can learn English for their specific purposes. Nowadays there are English courses for Biology, Geography, Law, History, Mathematics, Medicine, Economy, and other sciences.